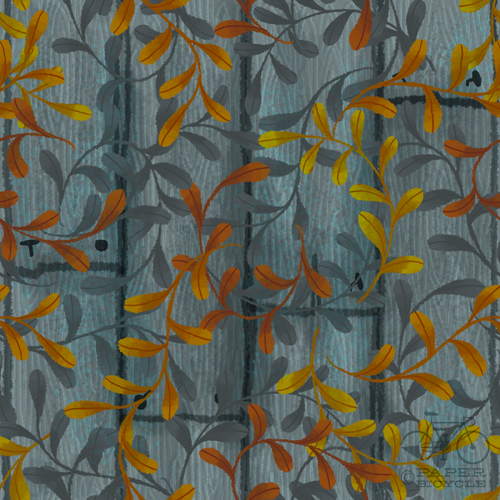 Let the onslaught of fall-themed patterns continue! Once upon a time, my parents would talk about buying this dream house of theirs that was next to a park my sister and brother and I used to play in. It had vines all over the sides of it and a matching playhouse that also had vines. Now my parents have a house that has a vine they are very careful to manage, because those things damage wood siding very quickly. I still like vines on things; they make them feel like used books or old furniture–you want them to be hiding a secret story.